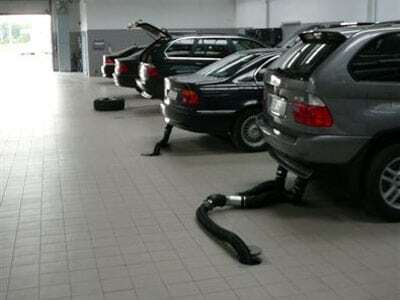 This type of exhaust extraction is and remains an effective and inexpensive possibility for new buildings and, most of all, truck workshops equipped with crane runways. Since no disturbing suspensions and pipe installations are present, the full motion freedom is guaranteed in the workshop. 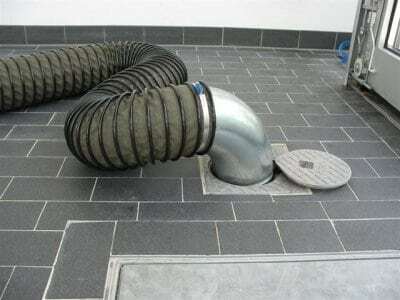 Since the extraction fan does not need to be built up, the noise is reduced to a minimum. 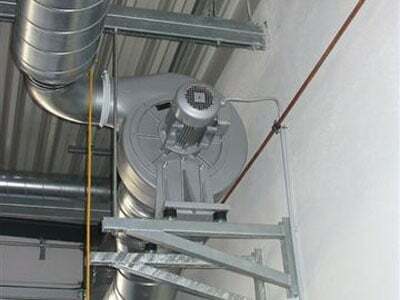 With proper planning and installation, underfloor exhaust extraction system, as well as all other solutions that we mentioned, fulfil their purposes for many years. 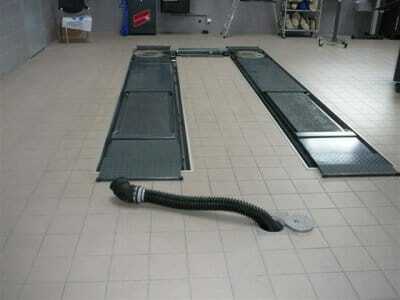 The underfloor extraction systems provided with the respective capture elements and associated extraction fans in accordance with BG / BIA / ASA design guidelines is intended for extracting gases in maintenance and repair services of combustion engines, as well as for AU test benches in compliance with the specified max. temperature loads. No combustible or explosive substances may be aspirated; combinations of extraction of exhaust gases from internal combustion engines with welding and grinding jobs are not allowed. 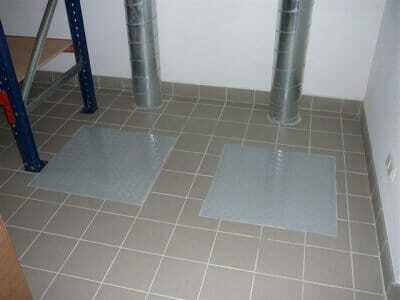 Also, the combination with room or pits ventilation systems is not permitted. 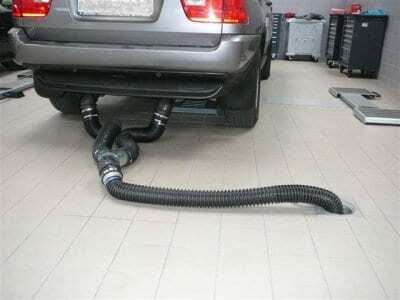 The exhaust air system after the extraction fan has to follow in accordance with the relevant legislation of the given country. 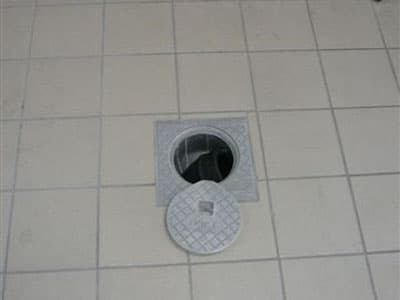 Again, the corresponding system design of the manufacturer must be followed.